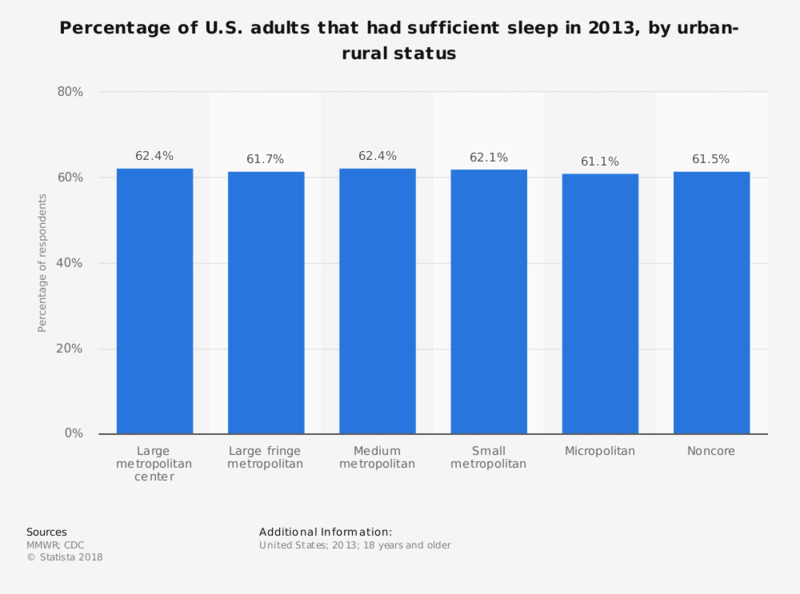 This statistic depicts the percentage of U.S. survey respondents that indicated they had sufficient sleep in 2013, by urban-rural status. According to the results, among participants in large metropolitan centers, 62.4 percent had sufficient sleep. "Sufficient sleep during an average 24-hour period defined as a sleep duration greater than or equal to 8 hours for persons aged 81-21 years and greater than or equal to 7 hours for those aged 22 years and older." How often do you get the amount of sleep you need?